Offering you a complete choice of products which include fire fighting accessories. Our technical expertise enables us to manufacture, distribute and supply a superior quality Fire Fighting Accessories. 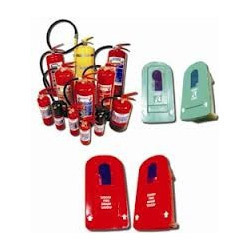 This fire fighting accessories is manufactured by talented professionals who use top notch quality of materials according to the current technological advancement. To provide the best product range, whole range of fire fighting accessories is examined on previously specified provisions of quality. Looking for Fire Fighting Accessories ?